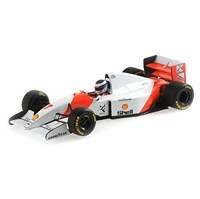 Minichamps 1:43 Diecast model of the #7 McLaren MP4/5B as driven by mika Hakkinen in the 1993 Japanese Grand Prix. 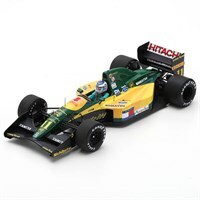 Spark 1:43 resin model of the #11 Lotus 107 as driven by Mika Hakkinen in the 1992 French Grand Prix. 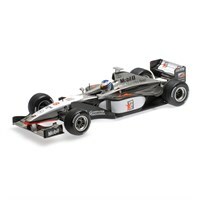 Minichamps 1:18 replica of Mika Hakkinen's World Championship-winning McLaren MP4/13 from the 1998 Formula One season.